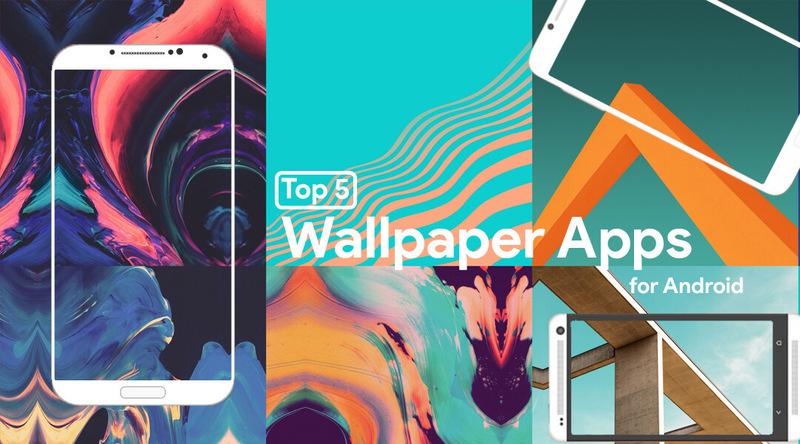 Top 5 Wallpaper Apps for Android. Time to change your setup! Finding great wallpapers for your Android device is not that difficult. There are a ton of apps out there that can do the task. On top of that, a simple Google image search can also show you some unique options. The trick is finding the apps that work best for you and finding the kind of stuff you want to see. 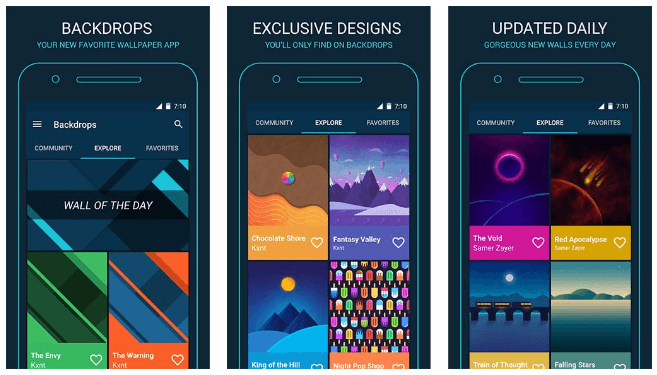 Let’s take a quick look at the best backgrounds and wallpaper apps for Android. 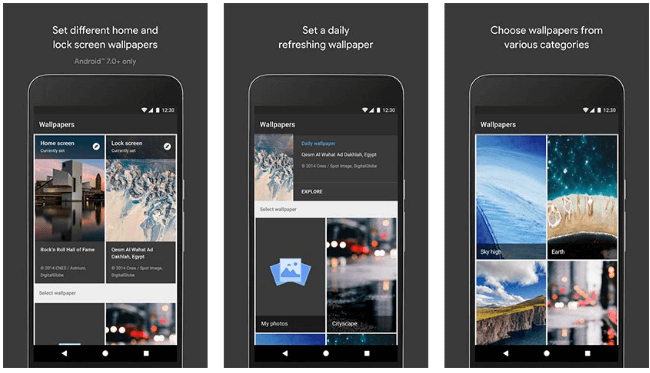 Wallpapers by Google is probably the most simple of all the wallpaper apps on this list. It shows a smaller selection of wallpapers, but they are all high resolution. You can access additional wallpapers using Google+, Google Earth, and other sources that Google calls “partners”. You also get additional features if your device is running Android 7.0 Nougat or higher like setting wallpapers for lockscreen and homescreen seperately. It’s not the most robust option on the list, but it is completely free and gives some pretty good sources for wallpapers. Backdrops is an above average option if you’re looking for good wallpapers. It features a variety of styles along with some modern features. The app has a section where you get “wallpaper of the day” and after the recent updates, this app even has an added functionality of setting the wallpaper directly from the notifications. 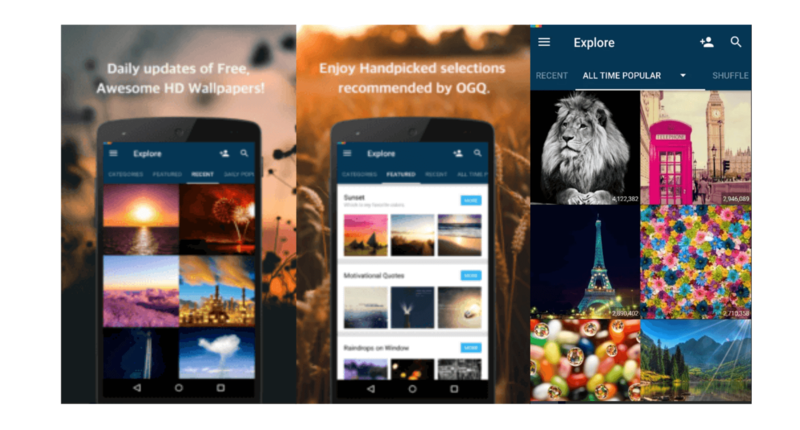 Backgrounds HD has been around for a long time and is one of the most popular wallpaper apps on this list. It’s considered good because it has a metric ton of wallpapers to choose from. Updates in 2015 and 2016 have modernized the design and 30 categories helps keep their massive collection in line. There are a variety of resolutions supported so you may have to wade through some lower quality images to find the really high quality stuff. In any case, the app is completely free so it’s worth a chance. Tapet is an app that’s quickly gaining popularity. This app doesn’t offer backgrounds like most wallpaper apps. Instead, this one will generate a wallpaper for you. Once you open the app, you’ll be able to choose from a variety of patterns and colors. The app will then create a wallpaper just for you. It also creates wallpapers based on your device’s screen resolution. This app sets wallpaper for you daily or even hourly based on the permissions given to it. It changes wallpaper based on user’s interest. 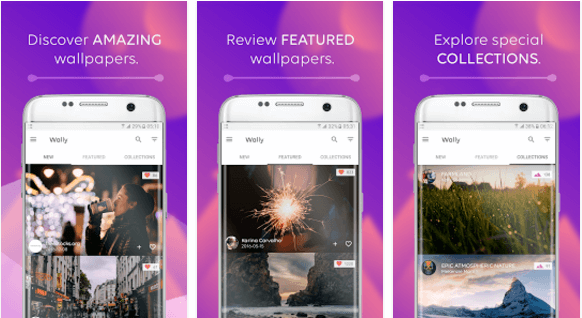 Wally is the most unique app from this list of the best wallpaper apps. This app doesn’t create wallpapers nor does it have a collection of wallpapers in its own database. This app is a simple client which pulls wallpapers from unsplash.com and resizes it to fit the screen resolution. This app is by far the best unsplash client from the hundreds of clients out there. It has a clean material design interface and simpler UX. Have a look at all of this apps and see which app suits you the best. Please try some and the wallpapers from the above apps and post your setup’s in the comments section below. [Updated] Google may bring the Pixel Navbar to older Nexus Devices in Android 7.1.2 update.